With new skin care ingredients and products being introduced to women constantly, it can become overwhelming to understand what these ingredients can do for your skin. Peptides are one of the most promising discoveries in the last few years. Learn more about this anti-aging powerhouse, what it can do for you and how you can add it into your beauty regimen. Peptides are chains of amino acids that are the building blocks of proteins in the skin. When peptides form a long chain of amino acids, they become proteins. When they are in a short chain of amino acids, they are able to penetrate the top layer of our skin and send signals to our cells to let them know how to function. One important protein in our skin is collagen. Collagen gives our skin its thickness and suppleness. When collagen breaks down in the skin (from age and environmental factors like the sun and stress), wrinkles form. Peptides applied topically to the skin can send a signal to collagen to prompt the formation of new collagen, and voila, you have the appearance of more youthful, supple skin. There are many, many types of peptides, but for skin care, there are specific peptides that are used widely. The most popular are collagen stimulating peptides, such as Matrixyl; as found in Zensation’s Bioregenerating Serum (dermstore.com, $150). Next, we have copper peptides, which are also shown to reduce inflammation. One product to try that contains copper peptides is Neova Night Therapy with Copper Peptide Complex (drugstore.com, $80). Finally, some of the most innovative peptides are neuropeptides (which claim to relax facial muscles, therefore reducing the appearance of wrinkles, similar to BOTOX). The most popular is called Acetyl Hexapeptide-8 or Argireline. One serum that includes Argireline is PCA Skin’s Exlinea Peptide Smoothing Serum pHaze 25 (dermstore.com, $102). Another example of this type of peptide is Syn-ake, a synthetic peptide that claims to reduce the depth of wrinkles and increase skin’s smoothness. It is based on an ingredient that mimics the venom of the Asian Temple Snake. You can find this in serums such as Sonya Dakar MicroVenom EyeLift Complex (sonyadakar.com, $82). For the most part, peptides take time to work (except for the immediate effects of some of the neuropeptides). 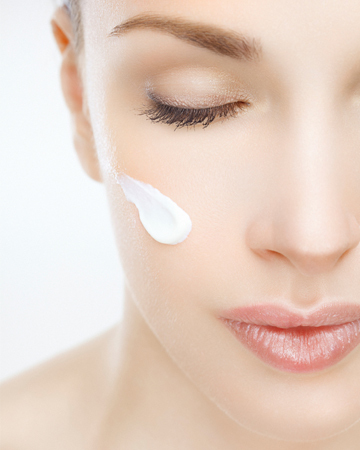 Peptides are best applied in serums or creams for a long period of time. You can start to see results in four to 12 weeks. Keep in mind that upkeep is so important with peptides. Once you stop using them, you will notice the difference.